Principal photography on the sequel kicks-off in New York very soon. 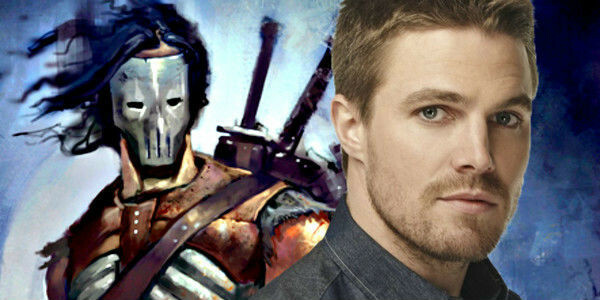 According to Variety?s story on the casting process, Stephen Amell has won the role of Casey Jones in the new Teenage Mutant Ninja Turtle movie by demonstrating chemistry with Megan Fox. This suggests that the character will be positioned as a love interest for April O?Neill, as was often the case in previous films, cartoons and comics. It?s added a different colour to his unhinged vigilante schtick, but hasn?t always been handled convincingly. At the same time, Arrow star Amell has experience in the field of jumping about battering people and wearing stylised costumes, of course, and I?m sure that didn?t hurt his case either. Incidentally, the film seems to be in pre-production under the name Half Shell, but there?s no indication yet that this will actually be the subtitle for the film on release. Good thing too, really, because it would be a dreadful name. Principal photography on the film is due to kick off in New York very soon, with Earth to Echo?s David Green calling the shots. I hope he does a good job ? Echo was a sweet, low-key little film and I?d hate to see his potential squandered in favour of a paycheck picture. We can look forward to seeing the picture on June 3rd 2016.